Asymmetrical tread pattern- superb cornering stability and precision steering response. 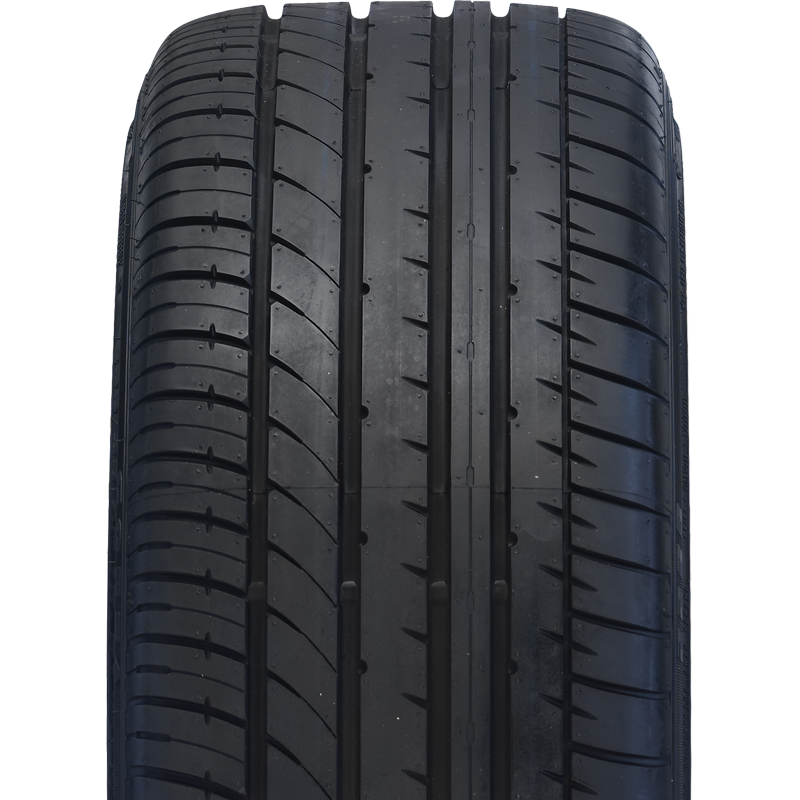 Broad tread shoulder design and wide center rib maintains stable contact during cornering and excellent straight-line stability. Strong breaker and cap ply material increase control of the centrifugal force and stability at high speeds. Wider rib with water channeling at shoulder reduces hydroplaning and better grip during wet braking.